All our trampolines together with toys, tunnels, balls and little activities. These activities are very beneficial for your toddlers development as it teaches them fundamental movements, balance, hand-eye co-ordination, situational awareness and general interaction and sharing with their peers. It is also time out for you and your toddler(s) to bounce around and just have fun together! 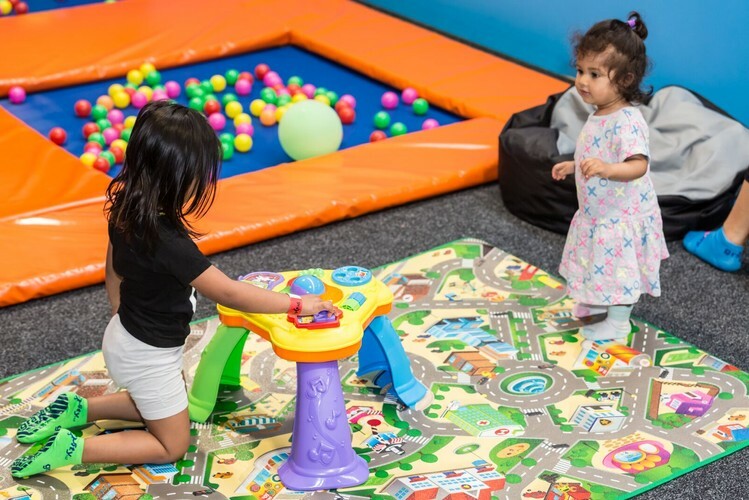 At just $10 per toddler and Parents jump for free – it is the best value toddler activity in Auckland!